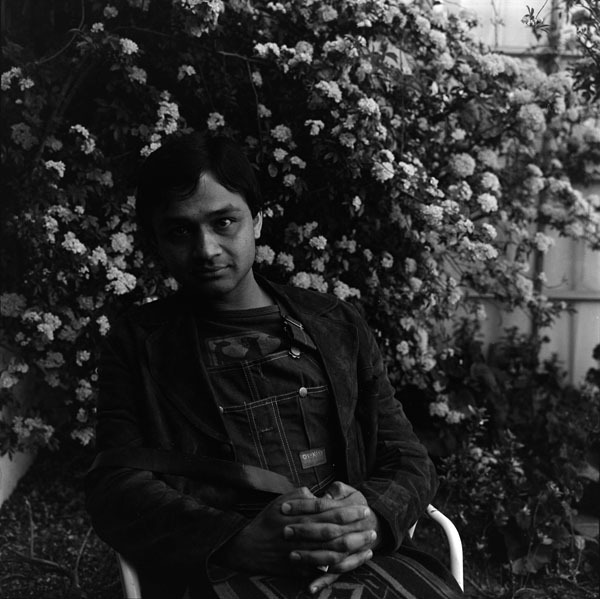 Poet Agha Shahid Ali poses with hands clasped at the 1985 Tucson Poetry Festival in Tucson, Arizona. Agha Shahid Ali, 1985. Photograph by LaVerne Harrell Clark. Courtesy of The University of Arizona Poetry Center. Copyright Arizona Board of Regents.